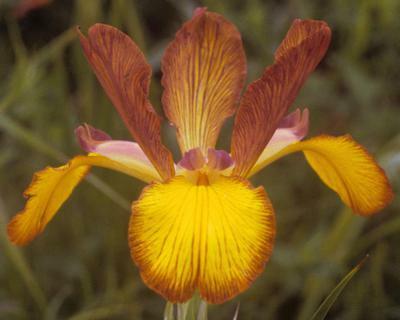 Spiced Tea-(Dave Niswonger-1984)-Spuria Iris-40 Inches tall-Medium Bloom Season-Standards ruffled light brown. Falls ruffled bright yellow with light brown rays and rims. Wonderful brown iris. HM.